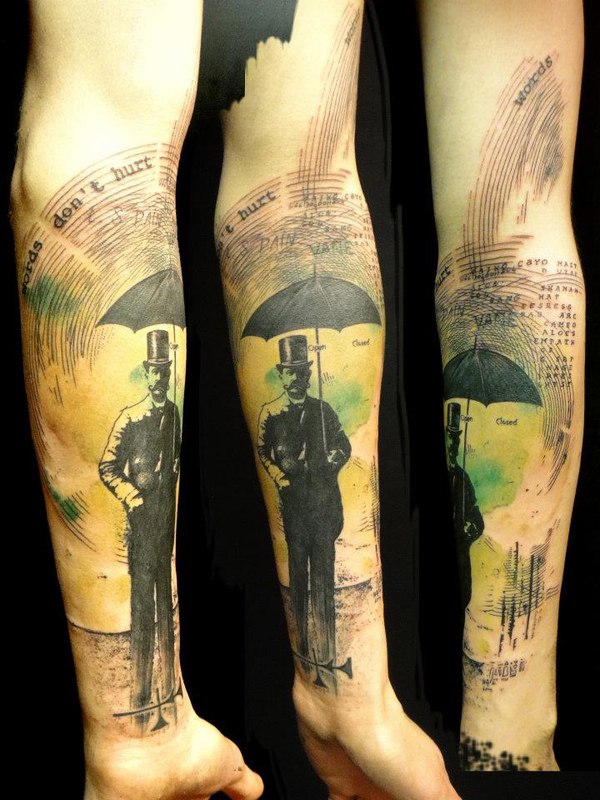 Tattoo by Xoil, via his Facebook gallery. Isn’t this great? Such an interesting, graphic style of work, I love it. Thanks to Coilhouse for the head’s up. These capsicums are luxe, baby. They take a while to come together, but once the rice is done, you’re on the home stretch, I promise! If the idea of stuffed vegetables freaks you out a little, give these a whirl and I swear you will change your mind. Half the capsicums lengthwise, and remove the seeds and membranes. Heat the Olivani over medium-low heat, in a medium frying pan, until melted. Add onion and garlic, cook for 1 minute, stirring frequently. Add all other ingredients aside from the breadcrumbs and parsley to the frying pan. Raise heat to medium and bring to a boil, then reduce heat and simmer 10 minutes, uncovered, stirring occasionally. Cover the pan and simmer 20 minutes or until rice is just cooked and liquid is reduced, stirring regularly. If liquid reduces too much, add a couple of splashes more stock. When done, keep covered and set aside to cool for 15 minutes. Fill each capsicum shell with rice mixture until well stuffed. There should be some rice left over, you could reheat it gently for 10 mins before the capsicums are cooked and use it as a bonus side dish, or pop the leftovers in the fridge and feel smug because now you’ve got lunch tomorrow sorted. Either way, it’s a win. Put the capsicums into a lightly-oiled baking dish (I use one of my grandma’s old loaf pans ♥). Sprinkle parsley on top of each capsicum, then cover well with breadcrumbs and bake, uncovered, for 35 – 40 minutes until breadcrumbs are golden brown and capsicum skin starts to wrinkle slightly. These are great with a simple mesclun side salad and a drizzling of worcestershire sauce.